If you’re planning on traveling home for Thanksgiving, the outfits you’ll be wearing have probably crossed your mind. Since it’s a time to catch up with family and friends and celebrate the holiday, you’ll have more than a few occasions to break out all your fall outfits. With everything from your travel look for the airplane to your outfit for Thanksgiving itself, we have plenty of ideas to inspire what you’ll be wearing. In particular, we think there’s one foolproof piece everyone should have in their arsenal over Thanksgiving. Ankle boots, a bona fide fall staple, are the ultimate item every fashion girl should pack in her suitcase. Paired with everything from jeans to long dresses, it’s the versatile shoe option that can transform any outfit. 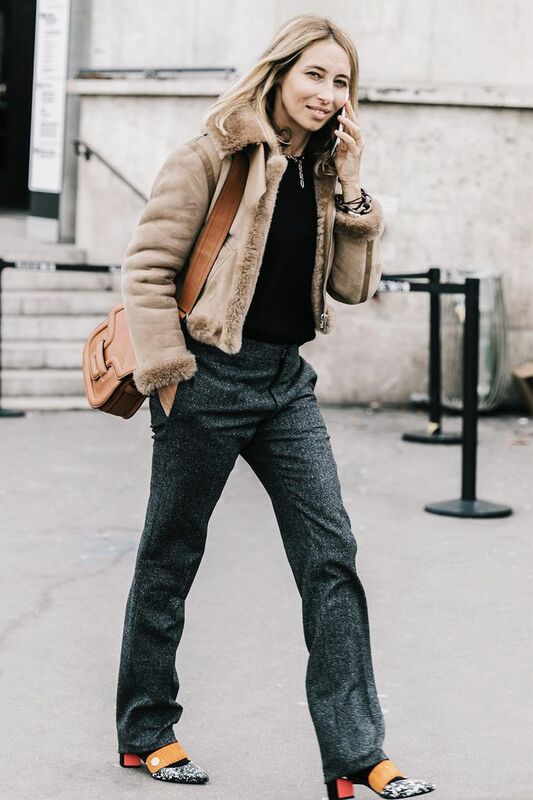 Go on to see how fashion girls are dressing this fall with 23 inspiring looks; then shop our favorite ankle boot styles. Pair a fur jacket with simple trousers and statement mules. Take a deconstructed blazer, and add basic pants. Opt for a long statement coat for a cold Thanksgiving. Go for a laid-back look and pair a black blazer with vintage denim. 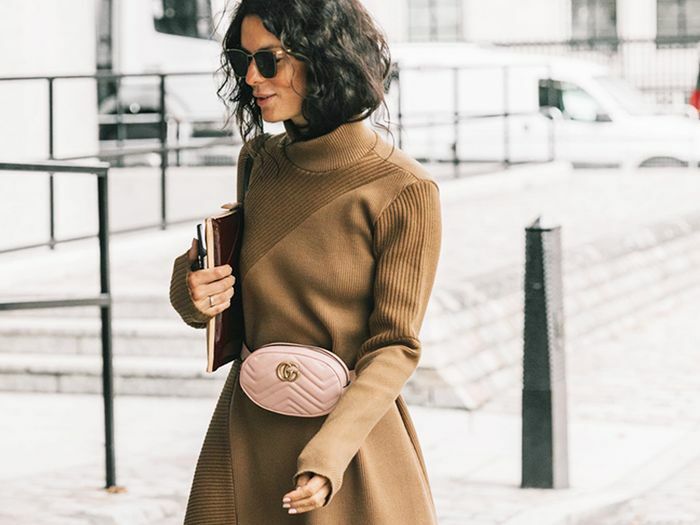 Take advice from this fashion girl and belt your chunky sweater over a long skirt. Blazers are the ultimate fall piece. Add some color by adding a statement velvet jacket over a simple black outfit. Keep your look sleek and sophisticated by pairing a turtleneck with cropped trousers. A chunky sweater over a printed dress is the perfect combination this fall. Try out colorblocking with a couple statement accessories. Keep up with the trends by rocking a trench coat. Flared jeans and oversize sweaters are the perfect combination. A cropped leather jacket with vintage denim and ankle boots will be sure to keep you trendy during Thanksgiving at home. Make a statement by pairing an oversize coat with cowgirl boots. Show off your new cool sweater by wearing it with a leather jacket and simple pants. Don a comfortable sweater dress with pointed-toe sock boots. A silk pajama top will keep you feeling like you're still in bed. An oversize coat will help dress down a fancier dress. Keep a simple outfit trendy by adding accessories that stand out. A pencil skirt and knee-high boots are a match made in heaven. Mix up patterns and textures with a fur jacket and printed pant. Or match the prints with your accessories. Made from the high-quality Italian leather. Available in sizes 35 IT to 42 IT. We love the cool geometric shape of this boot. Available in sizes 36 IT to 41 IT. These boots have been spotted on numerous celebrities, including Kendall Jenner. We love the texture on these boots. Available in sizes 35 IT to 41 IT. Such a delicate and feminine shoe. Stay on trend with these checked ankle boots. Available in sizes 6 to 9.5. A classic boot that will go with anything in your wardrobe. We love the small block heel on these ankle boots. Red leather is everywhere this season. These boots will surely become a statement piece in your wardrobe. Sock boots are the perfect accessory with ankle-grazing denim. Next, read about the minimalistic wardrobe staples you haven't tried yet.